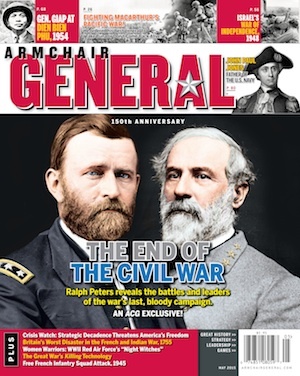 Holiday Shopping Guide 2012 | Armchair General Magazine - We Put YOU in Command! "What do you want for Christmas?" "I don’t know what to buy for … "
Armchair General answers these questions and more, including how many angels can dance on the head of a pin, in our 2012 Shopping Guide! Surprise your favorite history buff or gamer with a selection from our lists of choice books, DVDs and games—or print out the list, circle some items, and innocently leave it lying in a conspicuous place where your family will find it. Happy shopping! First up, here is a partial list of good reads and good viewing selected by Armchair General Editor in Chief Jerry Morelock. For the complete list, see Armchair General, January 2013, on newsstands now. For additional selections by the staff of ArmchairGeneral.com and our writers and reviewers, see below. Combat Mission Fortress Italy (Battlefront.com) Combat Mission is truly a series of "thinking man’s" wargames. Fortress Italy focuses on the American campaign in Sicily. It features 17 ready-made battles, playable from both sides, that emphasize reconnaissance and command control rather than “blazing guns” rushes. Combat Mission: Battle for Normandy – Commonwealth Forces (Battlefront.com) The unique formations that make the Commonwealth and German forces fight differently are modeled here in great detail. Two new campaigns, more than 30 one-off battles, and dozens of new vehicles and small arms make this a significant expansion on the original. New and lavish scenery brings northern France to life. The core game, Combat Mission: Battle for Normandy is required in order to play this expansion. Crusader Kings II (Paradox) Crusader Kings II is a rarity in strategy games today; it is as far from a click-fest as a player can be in a pausable real-time game. Add in depth of historical detail, a smooth interface, and outstanding graphics and music. Decisive Campaigns: Case Blue (Matrix/Slitherine) Set during the Stalingrad and Caucasus campaigns of World War II, DC Case Blue is a quick-playing game that allows the armchair general to concentrate on his strategy and tactics without getting swamped with information on, and movement of, bullets and beans. 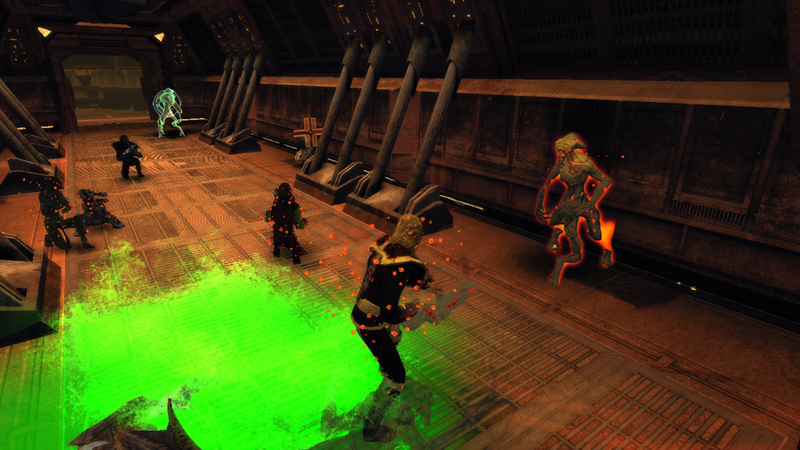 XCOM: Enemy Unknown (Publisher, 2K Games; developer Firaxis) XCOM: Enemy Unknown is a stunning achievement that brings an entire genre forward nearly 20 years. It streamlines the user interface to fit comfortably on a controller, speeds up the gameplay, and miraculously keeps intact the tension from the 1998 original. Critics writing under every flag pretty much agree that this is a serious game-of-the-year contender. Amateurs to Arms! (Clash of Arms) Amateurs To Arms! is a fantastic game design, a card-play game that is also a solid simulation of the strategic military, economic, and political factors that shaped the multisided War of 1812. Mark H. Walker’s Lock ‘N Load: Forgotten Heroes Vietnam, 2nd Edition (Lock ‘n Load Publishing) An updated version of the Vietnam War man-to-man classic. Fully suitable for solitaire play, it comes with a fistful of scenarios; plus, its long-out-of-print supplement ANZACs will be available again in 2013. Next War: Korea (GMT Games) This game has tons of positives in its favor whether you want to play it as a standard or advanced game or just focus on the air war aspects. As a simulation of modern combat on the strategic level, this game is a huge success and its payload delivers tons of value for the money spent. Nightfighter (GMT Games) A game of nighttime aerial combat over Europe and the Pacific in World War II, Nightfighter features well-written rules and many scenarios. With the downloadable rules supplement, it is suitable for solitaire gaming. Panzer (GMT Games) This update of the classic Yaquinto title has a near-perfect rules set. Two expansions to expand the unit types and scenarios have already been published. Samurai Battles (Zvezda) – Comes with 122 incredibly detailed Samurai models, two complete rule systems, great maps and components; wonderful value for the price. Sekigahara: The Unification of Japan (GMT Games) Beautiful mounted map and high quality, real-wood blocks and markers. Succinct rules with great examples. An easy-to-learn game system, well-written rules with plenty of examples, the miniature airplanes used in the game are gorgeous, and they are backward compatible with the former version of this air combat game Wings of War. Additional miniatures can be purchases individually, in a buy-what-you-want fashion rather than in groups of randomly packaged figures. World War II Barbarossa 1941 (Zvezda) Beautiful mounted, modular map boards with 3D extra terrain and 21 minutely detailed snap-tight model kits. Fantastic value for the money. Good introduction to World War II miniatures gaming. One expansion, Battle for the Danube, has already been published and more are planned. Dungeon Command (Wizards of the Coast) A great reboot for the Dungeons & Dragons miniatures line. Packaging them in matched sets makes it easy for collectors and dungeon masters alike to pick up all the minis they need in one go, and the card-based game play that is engaging and quick. Nuklear Winter ’68 (Lock ‘n Load Publishing) Set in an alternative World War II in which a nuclear winter covers Europe and mutants roam the landscape, fighting Nazis and NATO alike. The alternative history background is high concept, the rules for movement and combat are straightforward and easy to game, and the wide variety of weapons systems and vehicles are handled without bogging down play. Code Talker: The First and Only Memoir by One of the Original Navajo Code Talkers of WWII, by Chester Nez with Judith Schiess Avila. (Berkeley Publishing Group). The title says it all: Chester Nez, one of the original 29 code talkers recruited into the US Marine Corps during World War II, provides insights into how Navajo culture was able to uniquely provide the US with a cryptologic advantage in the Pacific War. DESPERATE SONS: Samuel Adams, Patrick Henry, John Hancock, and the Secret Band Of Radicals Who Led The Colonies To War. Les Standiford. Publisher, Harper Collins. Desperate Sons charts the rise and activities of the Sons Of Liberty, from their successful opposition to the Stamp Act through the clash at Lexington, with a final chapter discussing what became of the men who indeed did lead the colonies into war with and won independence from Great Britain. Instead of focusing on Boston, as other books have done, it provides a look at Sons Of Liberty chapters at work in nearly all the colonies, particularly the activities of these vigilante patriots in South Carolina and New York. Great Civil War Heroes and Their Battles: Sesquicentennial Edition, edited by Walton Rawls (Abbeville Press) A unique illustrated compilation of 50 different Civil War officers’ biographies; the illustrations are taken from 19th-century cigarette packaging of the W. Duke and Sons tobacco company. Any Civil War buff will be happy sitting in a favorite chair poring over this book’s detailed biographies while admiring its numerous and impressive illustrations. Greeks and Parthians in Mesopotamia and Beyond: 331 BC–224 AD., by Wolfram Grajetzki. (Bristol Classical Press) A rare look at the Seleucid empire and Parthia, which are usually overshadowed by Ancient Greece and Rome. Reporting the Revolutionary War, by Todd Andrlik. (Sourcebooks). A unique coffee-table book that compiles reproductions of actual newspaper pages from the era of the American War for Independence, with additional text to provide background and context. It covers the period from "The Cursed Stamp Act" to George Washington’s resignation as commander-in-chief of the Continental armies. The Rogue Republic, by William C. Davis (Houghton Mifflin Harcourt). he Rogue Republic is an exhaustive but fast-paced work describing a little-known episode on the borders between Spanish territory and the new United States in the early 19th century, a very detailed account of the creation of the short-lived Republic of West Florida. Sioux War Dispatches: Reports from the Field, 1876–1877, compiled by Marc H. Abrams (Westholme Publishing). The story of the Great Sioux War, as told through the eyes of contemporary newspaper correspondents, both civilian and military. Hundreds of detailed annotations provide additional background. Tarnished Victory: Finishing Lincoln’s War, by William Marvel (Houghton Mifflin Harcourt). The war is described as current events for the participants, civilian and military. While explanatory text provides context, the focus is on telling the story of people living in tumultuous times. The last book in a series by William Marvel, Tarnished Victory covers the period from ay 1864 to June 1865. The Boys of ’67: Charlie Company’s War in Vietnam, by Andrew Wiest (Osprey Publishing) The Boys of ’67: Charlie Company’s War in Vietnam chronicles the path that Charlie Company took to Vietnam: from the 9th Infantry Division activation, draft notices, training at Fort Riley, Advanced Individual Training (AIT), deployment to Vietnam, their first heart-wrenching losses, the beginning of replacements, their Freedom Bird, and finally, to the paths their lives took after returning from Vietnam. The use of personal interviews and letters home put a personal touch on the book. War Stories – World War II Firsthand: The Pacific, Vol. 1: Pearl Harbor to Guadalcanal and War Stories – World War II Firsthand: D-Day: the Campaign Across France, by Jay Wertz; edited by Armchair General’s Editor in Chief Jerry Morelock (Weider History Publications). The first two books in a series that combines first-person accounts by veterans of many nations, placed in context by narrative text and accompanied by original maps and extensive illustrations—including photographs of the veterans whose stores are told in their pages. Wellington’s Wars: The Making of a Military Genius. Huw J. Davies. (Yale University Press) The story of how Arthur Wellesley, the Duke of Wellington, became not only a great military commander but, like Dwight Eisenhower in World War II, also a political general. An interesting book covering an aspect of Wellington that is not explored in this detail by other biographies of his military career.